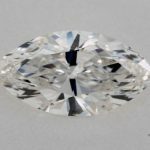 Okay, this might be a tough article, we’ve been working with & recommending James Allen for years, but today, we will be totally unbiased, and take you through a deep & detailed review of James Allen, one (if not the first) of the largest Online Diamonds Stores in the world. 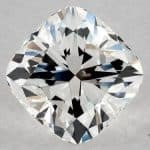 If you are considering buying a diamond from the reputable James Allen for the first time, then it’s only expected that you might have done a little research on the company and probably read its reviews on various social media platforms. There are so many reasons why shopping for your diamonds online is better than walking into any store in your neighborhood. Shopping online for these precious stones exposes you to a very wide range of choices to select from and sometimes (actually most of the time), the cost of purchasing these items online is cheaper than that of the items in brick and mortar stores. 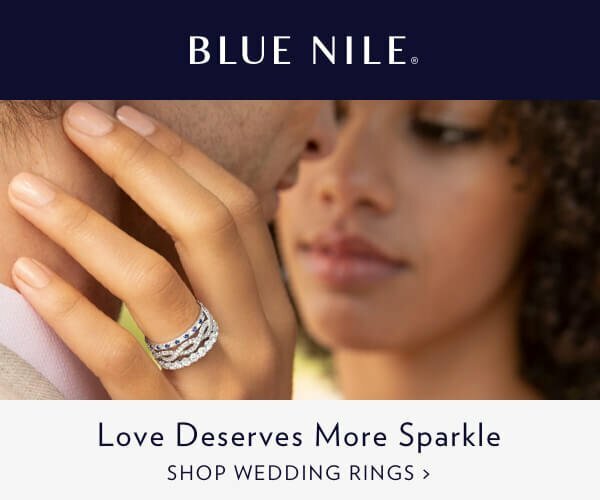 When it comes to online diamond shopping, James Allen is the top choice of so many shoppers amidst its strong competition (Did any one mention Blue Nile? Read our full comparison between both here). Want to know why a lot of people go for James for all their diamond needs? Then you are reading the right post. This article will serve as a comprehensive review of James Allen while focusing on its pros, cons, competitive edge over other brands and of course, shopper experience/customer service. 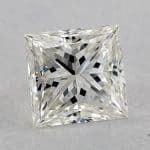 James Allen has a wide range of amazing products that buyers can choose from with about 200,000 loose diamonds and more than 5500 fancy colored diamonds. Their diamonds are pretty affordable and they make sure there is an option for most price ranges, whether you’re looking for a diamond with $1000, or in millions of dollars (Yes, they actually have this diamond for $3,307,900, but the good thing is it comes with a free setting!). James Allen also allows its customers to design their diamonds and choose what gemstones you want placed on them. This is the ultimate shopping experience for shoppers and one of the major reasons why tens of thousands of people are hooked on James Allen. 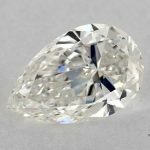 Unlike the usual walk-in diamond stores who own their pieces, James Allen doesn’t own the diamonds that are displayed on their website. Since they are located around New York, they get all their pieces from diamond suppliers in the area. This is the major reason why they are able to get such high-definition pictures of all the diamonds on their site because they have representatives taking pictures/videos of them while sourcing. James Allen also makes sure that each item is carefully analyzed and vetted by experts before putting them up for sale on their website. In addition, James Allen is in exclusive contracts with several of these suppliers as their only customer. This means that it is uncommon for customers to find the pieces on James Allen anywhere else. Also, these contracts allow items to be readily available when the customer needs it and never out of stock. 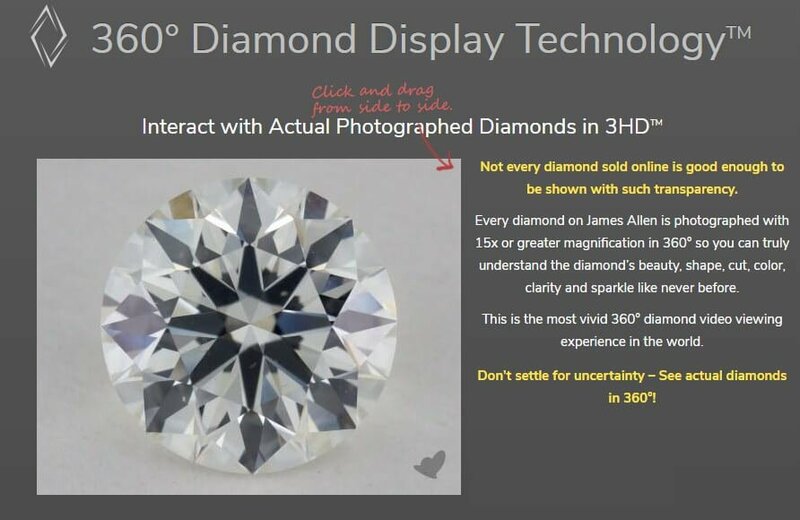 If you ask me, what’s the one thing that James Allen beats all its competitors with, I wouldn’t hesitate to say it: They have a 360° HD image for every singe diamond on their website! James Allen offers a highly magnified (up to 40x) view on all their items on the website, all shoppers have to do is move their mouse around the item they are viewing for a clearer view. Also, shoppers can click on a particular part of the image to get a more intense look at that part of the diamond. This is a huge selling point for James Allen as its major competition do not have this option available on their websites. Since people love to see what they want to buy before making the purchase, this feature keeps attracting shoppers in their numbers. James Allen usually has the best prices of diamonds in the market. The reason why their pieces are so affordable is because they operate a digital store and therefore are not bothered by the cost of renting and maintaining brick and mortar store all over the country. Hence, they are able to sell amazing pieces at a customized rate to customers, moreover, they follow the philosophy sell more earn more, their margins on diamonds are very competitive, and this allows them to compete well regarding the price. James Allen has one of the best customer service staff in the jewelry business. Their customer care department works 24/7 with a response time that is less than a minute. Shoppers can also chat extensively with the agents and ask any questions pertaining to diamonds they might have. All James Allen staff undergo an intensive 6-week training on diamonds and jewelry as a whole before they are made to start interacting with customers. This is because they want their employees to be able to represent the company perfectly and handle clients’ needs independently and creatively. Their website is very easy to navigate and isn’t cluttered in anyway. it doesn’t try to sell you what you don’t want. This way, shoppers can easily locate the items they want and make payment in no time. What’s more? Their website also has a 24/7 chat option embedded on the pages. This option allows customers to chat with customer care representatives and get their issues resolved in no time. At James Allen, packaging is taken into very deep consideration. They take their time to ensure all gifts are well-packaged and delivered to the customer in perfect condition. Due to their clear love for diamonds and keen attention to details, clients are bound to fall in love with the packaging. With the diamond business, appearance is key and James Allen definitely has this on lockdown! For customers who want to customize their jewelry by adding engravings, James Allen offers this service for free so clients don’t have to get it elsewhere. This is a very huge advantage of James Allen as they save customers the time and money that would be used to look for or pay an engraver. We’ve covered this in deep details in our Conflict & Blood-Free Diamonds Article, The stones on James Allen are conflict free. This means that they are all sourced with a high degree of ethics and so customers are sure that they won’t be purchasing a blood diamond. This is relatively new, James Allen used to charge for international shipping, but they moved to a Free International Shipping model for all orders. Presently, James Allen has one show room which is in New York City. However, this is a reality that can easily be changed or adjusted in no time, and to be honest, their business model is not built on having many showrooms, their strength is with their online website, so I doubt they will open more show rooms. James Allen currently supports credit card, money wire, personal checks & money order only, they don’t support other methods like PayPal for example, or western union transfer, which might be more convenient for buyers from out of the US. For an order which costs $1000 minimum, customers are allowed to pay for their items with no interest for the first 6 months. This gives buyers enough time to complete the payment before the time elapses in order to avoid the 29% interest rate. 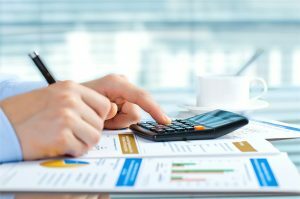 For purchases worth $2000 minimum, buyers are given two years to complete payment for their items at a 90% interest rate. 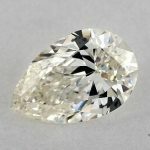 This might not be a direct con, but some of their terms may not be suitable for everyone, so you need to check all their terms if you think you need to return/upgrade your diamond, but generally speaking, James Allen has a 30-day return policy with a guarantee of getting your money back on all items. 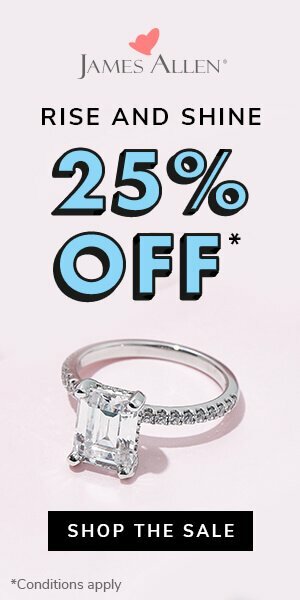 This is a great deal for shoppers who are interested in purchasing engagement rings as it gives them the opportunity to ask the question and get a yes or be able to return the ring in the case where they don’t get the answer they envisioned. James Allen also provides a faux ring sizer that one can use to be certain the ring fits perfectly beforehand. Each and every purchase made on James Allen comes with a lifetime warranty that makes provision for diamond maintenance services such as cleaning, polishing, rhodium plating etc. Also, in the case where a customer wants to upgrade her previously bought rock for a bigger one, James Allen offers lifetime upgrade allowance where you can easily swap your old piece and get 100% credit that you can use to getting a new diamond. 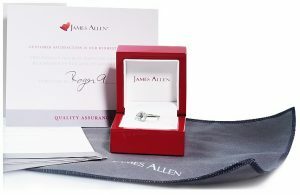 Lastly, James Allen offers clients the option of insuring their diamonds with the same company they use. This is a smart way to ensure their customer’s diamonds are safe from theft or damage. Conclusively, from the impeccable review described above, it is quite obvious that James Allen is leading the pack and is in a whole league of its own. They have successfully narrowed down the entire process that comes with digital shopping and has succeeded in making people trust online transactions of diamonds some more. 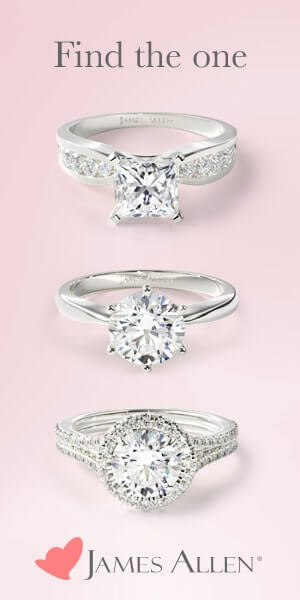 They are readily available to help and guide their clients to the perfect ring with their top-notch customer care. 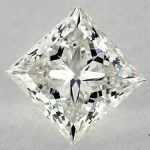 James Allen also realizes how tricky it can be to buy diamonds on the internet and this is why they try to make their customers as comfortable as possible at all times. 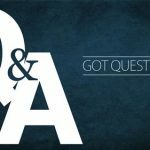 If you have any comments or feedback, please always feel free to comment here or reach me through the contact us page.